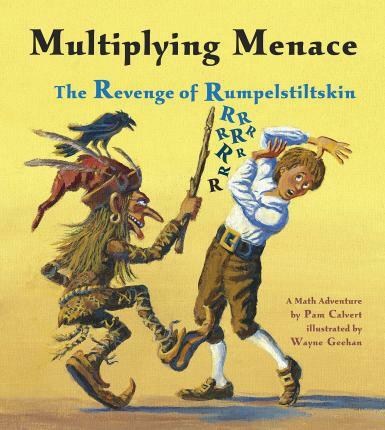 Readers will put their multiplication skills to use in this clever math adaptation starring the fairy-tale favorite, Rumpelstiltskin. It's been 10 years since the queen defeated Rumpelstiltskin and now he's back to collect his payment from years before. He causes a stir in the kingdom by making mischief with his multiplying stick and threatens to do far worse if the debt is not repaid. It's up to Peter, the young prince, to take possession of the Rumpelstiltskin's magical multiplying stick and learn how to use it--and multiply both whole numbers and fractions-- in order to restore peace to the kingdom. A perfect mix of math, fairy-tale, and fun, The Multiplying Menace will get STEM/STEAM readers excited to solve the adventure one number at a time. Pam Calvert, a former schoolteacher, is the author of THE MULTIPLYING MENACE DIVIDES and PRINCESS PEEPERS. She lives in South Texas.